Magnificent ocean view and flower gardens are part of the romantic charm of this country cottage. Birds galore will entertain you. Expect a quiet peaceful setting – ideal to be lulled into relaxation. Screened and open decks offer outdoor living in ocean breezes, overlooking the sea. Queen and single bed. 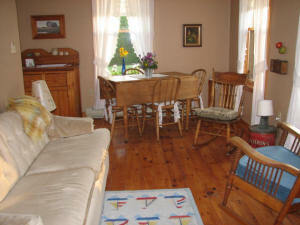 For more information, please visit www.moonlightcottage.ca.